Whether you are looking to acquire your new Jeep model soon or already have one in your possession, we suggest Lake Havasu City drivers to consider getting parts and accessories too! With the right products, you can personalize your model to match your individuality. 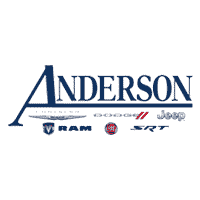 You just need to submit an online order with Anderson Chrysler Dodge Jeep Ram FIAT to get the items you want right away. As a Jeep dealer, our Arizona friends and neighbors can count on us to have the most popular Jeep parts and accessories already stocked. These include performance tires, lift kits, and other sought-after features and tools. We also have authentic oil filters, brake pads, and other necessary components for restorative work. Not to worry. If what you want is unavailable, we can also do the leg-work in your stead and obtain it for you through a trusted distributor. Your only task is to let us know what is essential to your next Jeep project. In the case you need assistance with installation or replacement, you can also schedule a visit with our service team. This is just one of the ways our Lake Havasu City Jeep dealership makes owning a Jeep easier for you! 0 comment(s) so far on Get Jeep Parts & Accessories to Customize Your Ride!